Back in February, a trailer for a movie titled Drake&apos;s Homecoming: The Lost Footage appeared online. Presented by Rap-a-Lot Records and Serious Entertainment, the minute-and-a-half teaser alluded to a full-length documentary chronicling Drake&apos;s early beginnings, featuring never-before-seen footage from his 2009 show at Toronto&apos;s Sound Academy. J. Prince and Jas Prince, who discovered Drake and played his music for Lil Wayne pre-YMCMB days, were named executive producers, along with co-executive producers Mark Berry, Robert "Kelo" Hendricks, and Evan Kosiner. Berry, chairman of Attack Media Group, a Toronto-based entertainment company, picked up the film through Serious Entertainment years ago. The Drake Homecoming film is not something OVO or Drake have any part in. I feel it is my responsibility to inform and protect my fans. In an interview yesterday with the Los Angeles Times, Berry briefly clarified the situation. Earlier today, we reached out to Berry, who sent Complex a copy of the contract to the film, and asked him to expand on the situation surrounding the forthcoming documentary. On Feb. 28, 2009, Drake signed a contract with Serious Entertainment for $15,000 with 25 percent of net profit for artist merchandise sold at the venue. Additionally, if the first show sold out (which it did), he would play a second show for $5,000. In the contract, obtained by Complex, the third clause states: The performance during the engagement shall, at the option of the Employer, recorded, copied, reproduced, transmitted, and disseminated in or from the premise in any manner or by any means now or later developed, including audio and video, by the Employer. The recordings shall be owned by the Employer. The profit from the sale of such goods shall be split on the following basis: 15% of profit to the Artist and 85% of profit to the Employer. Besides the tweet from Drake, OVO&apos;s publicists released a brief, albeit more detailed, statement to us yesterday, which read: To reiterate, OVO and Drake have had no creative input into this unauthorized film project and it is nothing to do with them in any way. Obviously Drake and OVO only put out music and video/ film that is of the highest quality for their brand and what their fans have come to expect and do not want any fans to buy into something that has not come from them. We spoke with Berry earlier today to clarify what exactly is going on with the project and just how involved Drake has been along the road. 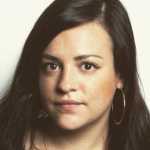 Lauren Nostro is the news editor at Complex Music. Follow her @LaurenNostro. How did this become something that Drake is so vehemently against? It&apos;s really perplexing to us, because basically when James Prince did the initial deal with my client, Serious, for the DVD and audio rights, Drake was called. I was like, "Hey, I&apos;m spending a lot of money here. Are you on board?" Drake gave his blessing. The original deal was in 2009 for a concert. Now James Prince at Rap-a-Lot just acquired the rights last summer. The original deal was done with Serious before Drake was signed, and it was for a live concert in Toronto at the Sound Academy. Originally it was supposed to be done at The Phoenix, but the demand was so great for tickets that they moved it to Sound Academy. We did the deal and there were no issues. There was a signed contract for $15,000 in cash and Drake gets 15 percent of the royalty revenue, and he did the show. Months later, he gets signed to Young Money. And the rest is history. He goes on, he&apos;s a superstar now. He was in Dubai over the weekend doing shows for $1.7 million. Here, he did a show for $15,000 six years ago and gave up the video rights and also, has a second show included in the same agreement for $5,000. This just goes to show you how Drake thought of his success. "Give me $15,000 now, then another show for $5,000. No problem." That second show has never been exercised under my clients&apos; rights. That&apos;s a whole separate issue that we&apos;ll be dealing with after the movie. My lawyer in New York also represented another client, Rap-a-Lot Records. When I told him that I got involved as a producer of a film, he says, "Hey, I might have someone who might want to pick up the audio and DVD rights." I said, "Great, who is it?" He said, "James Prince, Rap-a-Lot." James and I had a great conversation and we were able to put a deal together for the audio and DVD. The audio and DVD are going through Sony RED and the broadcasts are being worked on at the moment. In the meantime, I put together a theatrical deal with AMC and Cineplex Odeon through a company called SpectiCast that we have a deal with for the theatrical rights to the film. Drake, as you know, the whole deal moved forward based on Drake&apos;s representation that he was going to be supporting James in this financial endeavor. Hearing about the craziness surrounding this film, it&apos;s hard not to ask why six years later, when he&apos;s a megastar and, as you said, in Dubai doing million dollar shows, you&apos;ve decided to release the footage. It seems like a cash grab. No, number one it&apos;s under contract. We&apos;re actually honoring our agreement with him and giving him 15 percent of the royalty revenue. He&apos;s coming back to us and saying, "Well, wait, I want more. I want more of the theatrical." It&apos;s not shocking that OVO and Drake would want creative control of this in 2015, as opposed to 2009, though. It&apos;s not an issue of creative control. It&apos;s a live concert. He&apos;s singing, it&apos;s him rapping! There&apos;s no creative control here. The soundtrack is what it is. The visual is what it is. The interviews from James and Jas that are cut throughout the cut, are what they are. When were those interviews done? Probably October or November of last fall. The most important question is, what happened to the footage for all of those years? It just kind of sat there. They approached Drake on several occasions to buy the footage off of them. My clients were rebuffed. Then we went to Cash Money, Birdman, and said, "Hey, we have this footage. Do you want it?" They said, "No." Because they thought that nothing was ever going to happen to it. Then I come along, and I assist my client in getting broadcast deals and DVD and audio deals and theatrical deals, which everyone is still scratching their head trying to figure out how we pulled it off. A major theatrical release, internationally, to over 1,200 theaters. All of a sudden, it&apos;s of value. When did you realize he had no intention of being involved in the film? This is something that hit us on Monday. You got this tweet, and we&apos;re like, "What? What do you mean? It&apos;s you." Obviously there was a contract signed in 2009, but why is this six-year-old footage coming out now? Number one is, it&apos;s not a cash grab. You can equate this to the Beatles at The Cavern. This is Drake coming back to Toronto, he&apos;s not even signed yet, and he&apos;s a star in his own backyard. That&apos;s what this footage is, and when you see every kid in the audience singing every word—from a kid that&apos;s not even signed—you say, "Wow, this kid&apos;s got it." That&apos;s how I look at it and that&apos;s how a lot of us looked at it when we were getting involved in the project. Why do you think Drake and now James Prince are saying, "We don&apos;t want any involvement with this?" There&apos;s Rap-a-Lot branding all over it. It&apos;s all over it. They have the interviews in it, as well. I can&apos;t confirm the accuracy of that tweet. You and your clients are considering filing a $15 million libel suit? I can&apos;t discuss what&apos;s going on legally but there is movement. You can&apos;t come online and say it&apos;s an unauthorized thing. It&apos;s authorized, dude. Because you signed a contract with my client and you gotta honor your contracts. Would you guys pardon the concert at this point? No, the concert is a viable part of the agreement. It&apos;s hard to imagine Drake doing a $5,000 show now. I spoke to my clients and we plan to give a great portion of that to charity.